A: There are a variety of simple and easy ways to report new hires, including online reporting, electronic reporting and by mail or fax. For more information on the convenient reporting options available, click here. A: Electronic Reports - Utilizing our web site's online reporting feature is a very popular option for employers. This feature provides printable confirmation of reports received, and is conveniently available 24 hours a day, 7 days a week. Employers can send new hire data files in a variety of ways, including transferring files through the Web site or through internet connection using File Transfer Protocol (FTP). Employers can also mail reports directly to our New Hire Reporting Center on a diskette. Click here to learn more about electronic reporting. Non-Electronic Reports - Paper new hire reports may either be faxed or mailed to our New Hire Reporting Center. A: Employers are required to submit a report within 20 days of a new employee's hire date. Employers who submit reports magnetically or electronically are to submit the reports in two monthly transmissions not more than 16 days apart. A: Federal and State laws outline strict guidelines for the use of new hire reporting information. New Mexico's child support computer system matches new hire information against open child support cases in order to locate non-custodial parents to establish paternity and child support orders, as well as enforce existing orders. Once these matches are completed, the new hire information is sent to the National Directory of New Hires and is utilized by Child Support Agencies nationwide. The use of this information provides financial support for New Mexico's deserving families and works towards a reduction in welfare and unemployment insurance costs. A: To begin, report any new employees you have hired within the last 180 days. Then, continue to report any new employees you hire within 20 days of their hire date. A: New Mexico Law (§50-13-1 to 50-13-4) and the Personal Responsibility and Work Opportunity Reconciliation Act (PRWORA) of 1996, 42 U.S.C. 653A, require that all employers report newly hired and re-hired employees to a state directory within 20 days of their hire date. 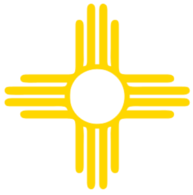 A: All employers and/or labor organizations in the State of New Mexico. A: No one is exempt from this law. A: The New Hire Reporting Center welcomes Independent Contractor reports, however, employers are not required by law to submit them. The IRS provides strict guidelines on whether an individual is an Independent Contractor or an employee and questions regarding this guideline can be answered by contacting the IRS. A: Labor unions and hiring halls must report their own employees; that is, individuals who work directly for the labor union or hiring hall. If the labor union or hiring hall only refers individuals for employment, it does not need to file new hire reports for these individuals. However, if a labor organization actually pays the individuals whom it refers, as opposed to having them paid by the person or entity to whom they have been referred, the labor organization would be considered the "employer" and therefore required to submit new hire reports according to the mandated requirements. A: New hire reporting is mandated by law in all 50 states so one of the main goals of new hire reporting legislation is to make it as easy as possible for employers to comply. For those employers who have employees in more than one state, we have two convenient options for reporting. Click here for more information about Multistate reporting. A: We highly recommend reporting your new hires electronically, as there are multiple options for doing so. You can either report new hires using our convenient Web site, or you can transmit a data file created by your company's human resources or payroll software. Electronic reporting eliminates paperwork, increases the accuracy of the reports, allows faster processing, and can save on postage and other costs. Additionally, our Web site also provides printable confirmation of all new hires you report during a session. Electronic reporting can also qualify Multistate employers to report new hires directly to one state. Q: What if I have questions about child support or income withholding? A: The New Hire Reporting Center does not have access to specific child support information and does not have the ability to answer questions related to child support. Check out our Employer Resources page to find information on local, state, and federal child support agencies. Q: Are domestic employees (maid, nurse, gardener) required to be reported? A: New hire reporting legislation requires all "employees" be reported. Therefore, an individual who is an employee for purposes of federal income tax withholding from wages, is also an employee for new hire reporting purposes. If you need to determine whether you should be paying federal income taxes for your employees, please contact the Internal Revenue Service at (800) 829-1040 or visit them at http://www.irs.gov. A: You should list the address where you want income withholding orders sent. A street address is preferred, as long as mail can be sent there. A: New hire information from the Quarterly Wage Reports becomes available two to six months after the date of hire. When you report new hires immediately, there is a much better chance of locating the individual while still employed, and the required child support action can be taken at once. Furthermore, fraudulent unemployment insurance, workers compensation, and welfare benefit payments can be detected quickly. A: Temporary agencies are mandated to report their workers who sign a W-4 form and report to an assignment. Workers only need to be reported once, and they do not need to be reported each time they are placed with a new client. If the worker has a break in service from your agency and a new W-4 form is required, then a new hire report would be necessary. A: As long as an employee filled out a W-4 form, even if they only worked for a few hours, that employee must be reported. Although that employee is no longer with your company, useful information such as home address and work history can be obtained from their new hire report. A: Yes, if you are sending in your report by W-4, you must include the employer name, address, and Federal Employer Identification Number (FEIN) in blocks 8 and 10 of the W-4 form. When reporting new hires, if you have more than one FEIN, please make sure you use the same FEIN used to report your quarterly wage information. A: If these employees have previously been reported then NO, you are not required to report them again. However, employers are required to report any new employee who is hired after your take over date. If you are unsure whether employees have already been reported, we suggest you report any employee hired within the last 180 days. A: No. Only new hires are required to be reported to the New Hire Reporting Center. However, if the terminated employee had an Income Withholding Order (IWO) for child support, the termination should be reported to the agency that issued the order. Q: If an employer receives the Federal Income Withholding Form from a non-governmental entity, what means are available to the employer to verify whether he or she should implement the notice to withhold? A: Upon receipt of a Federal Income Withholding Form from a non-governmental entity, the employer may request a copy of the underlying withholding order, or the state law that authorizes another legal process to implement withholding, as verification that income withholding has been ordered in accordance with state law. A: Do not hesitate to call the New Mexico New Hires Directory toll-free at (888) 878-1607 with any questions regarding the new hire reporting process. There is help desk staff available for your assistance Monday through Friday, 8:00am to 5:00pm Mountain Time.